METTLER TOLEDO illustrates process models for self-service weighing and shares recommendations to successfully integrate self-service in fresh departments. The self-service scale is a valuable in-store marketing instrument that combines information, innovation and emotion into one device. Advertising and branding campaigns on self-service scales’ displays are particularly successful in attracting attention and are seen by more than half of all shoppers. Learn more about our self-service weighing products for the fresh produce department of the grocery store. Produce with a fresh approach—from the farmer’s market to the supermarket. Distinguish your fresh produce department by providing an enjoyable shopping experience with an element of fun, stimulating the senses and enticing customers to discover new flavors. Fresh produce makes the difference. For today’s grocery retailer, fresh produce is an important area of differentiation. Our weighing product range is built for efficiency, with a focus on making the customer experience quick and convenient. 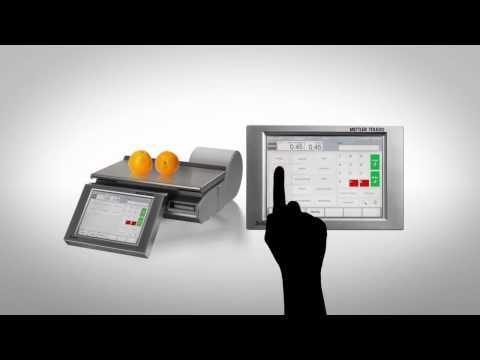 Our self-service weighing solutions in the produce department accelerate checkout processes. METTLER TOLEDO can support you with PC-based touchscreen or tactile keyboard self-service scales; applications for digital signage, in-store advertising, and how to use scales as information terminals; control scales; software; labeling and lifecycle maintenance solutions. By partnering with METTLER TOLEDO, you can enhance the shopping experience in your fresh produce department with the latest weighing technology. We help create a unique shopping experience in your fresh produce department. Watch the videos and download the guide to learn more. The advent of new technologies and standards in the food retail business is stimulating the market for fresh produce weighing solutions. New self-service technologies open up the prospect of more economical fresh food management -- and offer customers an enhanced shopping experience.